AGING ROCK GUITARIST BADGE drank and screwed his way out of his best chance at life. For eight years he’s managed to stay off the booze and, not coincidentally, out of the music business. But in 2000, flat broke and fearing passionless days ahead, he accepts work in Los Angeles with a new artist, young punk diva Betty. The gig promises great pay, professional studios and Badge’s last chance to rock at the top of the heap, that is, if he can keep his mind on the music and away from bars, back alleys and backstage temptations that greet him at every turn. Meanwhile, the music business is undergoing monumental change, with bands turning to the Internet to reach their fan bases and record companies making criminals of their customers. With a lead singer looking for more from her guitarist than memorable solos, a ten-year-old son curious about his dad’s new world, and an ex-wife who misses nothing, Badge navigates both home and rock life with values accrued in a bygone era, and toward a future as murky as a used shot glass. Badge was a finalist in the Pacific Northwest Writers Association’s Literary Contest for 2011 in the Mainstream category. 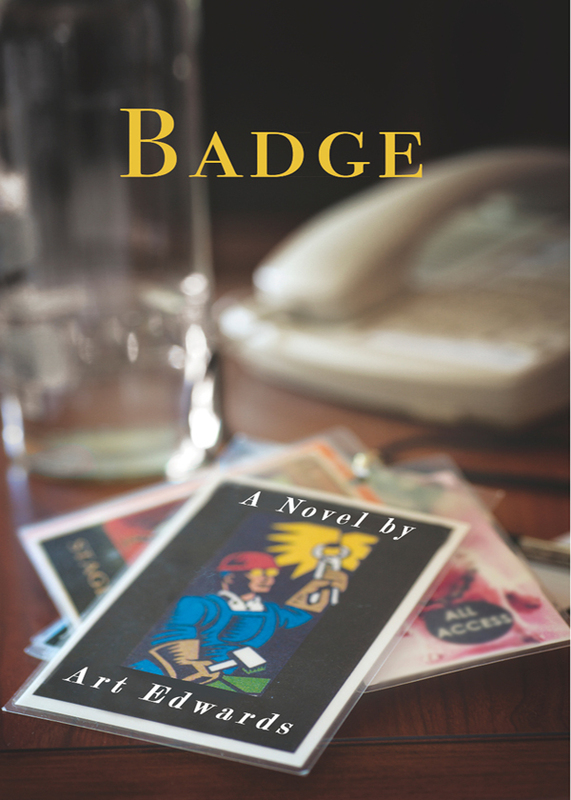 You can purchase the book online from Amazon or Smashwords in multiple eBook formats at http://www.amazon.com/Badge-Art-Edwards-ebook/dp/B00I2FSLQK.